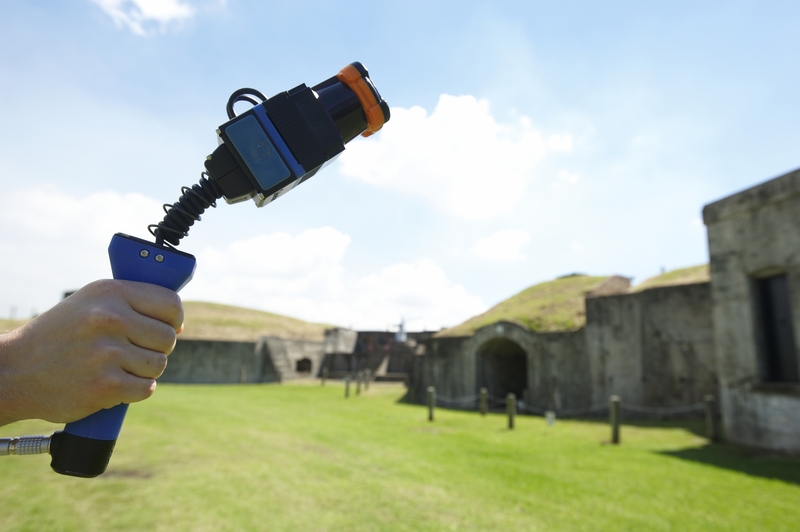 CSIRO’s Autonomous Systems Lab in Brisbane have developed a laser scanner that allow researchers to reliably map an environment in 3D by simply walking through it. “Zebedee has allowed us to capture a detailed record of several key cultural heritage sites ranging from those which are fragile and at risk of damage through natural disasters to those which are remote and difficult to get to […] We’re looking to use these maps in the future to create an archive of rich data about cultural heritage sites, which will allow us to analyse them without costly and time consuming hand measuring. From this, we have already analysed important aspects of Australian history. For example, the detailed map of Peel Island’s many small buildings allowed us to analyse architecture used to racially segregate people within the leper colony. The point cloud data clearly depicts how cramped and crowded the living quarters for Indigenous people were, when compared to the non-Indigenous people who lived in their own huts with scenic verandas”. For more details of the Zebedee scanner, please visit CSIRO.